This study aimed to evaluate whether the timing of initiating postoperative chemotherapy with S-1 monotherapy affects gastric cancer patients’ prognosis. A multi-institution dataset identified patients with pStage II or III gastric cancer who received S-1 monotherapy for over 6 months after curative resection between 2010 and 2014. Patients were divided into three groups based on the timing of S-1 monotherapy initiation. Prognostic factors for relapse-free survival (RFS) were investigated. We classified 401 patients into groups as follows: S-1 administered within 6 weeks (n = 247), between 6 and 8 weeks (n = 95), and after 8 weeks (n = 59). The RFS times were not significantly different in the within 6 weeks group and the between 6 and 8 weeks group, but the after 8 weeks group had a shorter RFS time compared with the other two groups (within 6 weeks group vs. after 8 weeks group; P = 0.0044). By disease stage, this trend was the same. The multivariable analysis showed that a larger tumor size (≥ 50 mm), pStage III, and the after 8 weeks group were independent prognostic factors for RFS (after 8 weeks group: hazard ratio, 2.05; P = 0.0069). The prevalence of hematogenous metastasis as the initial recurrence site increased by delayed initiation of S-1. A forest plot revealed that delayed administration after 8 weeks was associated with a greater risk of recurrence in most subgroups. 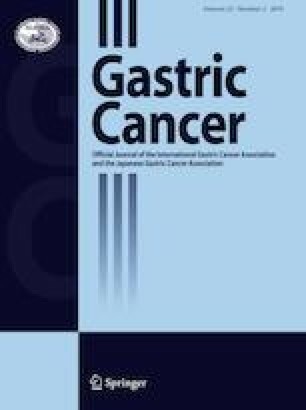 Postoperative chemotherapy with S-1 monotherapy for gastric cancer is recommended to begin within 8 weeks after surgery. The online version of this article ( https://doi.org/10.1007/s10120-019-00961-9) contains supplementary material, which is available to authorized users. All procedures performed were in accordance with the ethical standards of the responsible committee on human experimentation (institutional and national) and with the Helsinki Declaration of 1964 and later versions.